The use of tubular, or as it is often known, flux-cored wire has grown dramatically in the last thirty years. It is a versatile and productive weld material with wide applications. Yet this book is the first to provide fabricators with a comprehensive and unvarnished account of what tubular wires can do and how they do it. 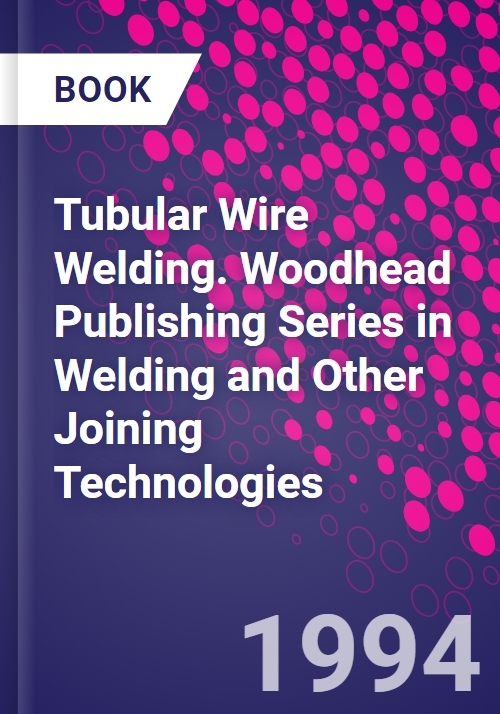 Based on the author's fifteen years' experience of developing and applying tubular wires, it brings together information not previously available in one place, some of which has never been published. Why flux-cored wire? Types of wire; Planning for productivity; Planning for quality; Process economics; Equipment requirements; Standards; Applications and consumable selection; Health and safety.